Playtech is one of the recognized leaders in modern gambling. The developer has been working for almost 20 years and managed to release over 500 games. The head office of the developer is based on the Isle of Man. There are also offices in more than 15 countries, including Australia, Israel, and others. Partners of Playtech are such corporations as Metro Goldwyn Mayer, Fox, comics studio Marvel, and DC. The company cooperates with the world’s largest online casinos, for example, William Hill and bet365. As for slot machines, the company steadily maintains leadership in this segment. 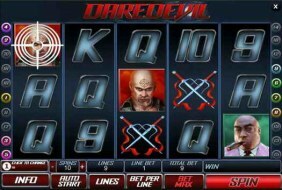 This developer has one of the widest lines of progressive slots. Slots from the series on DC and Marvel comics, ancient games from the Age of Gods group, and many others have progressive jackpots. Typically, the theoretical percentage of return is at least 95%. Among the bonuses, prize games and free spins are the most common. The risk game in Playtech slots is extremely rare. 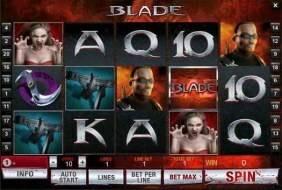 The developer’s slots have modern high-quality graphics. There are slots on almost any subject. Thus, if you cannot find a slot on a topic you want from another developer, you can be sure that Playtech definitely has it. The developer is deservedly considered one of the best in its segment. Slots from Playtech ideally combine interesting gameplay, a rich thematic range, and many opportunities to win big.